SMOK SKYHOOK RDTA is a new cloud beast tank, which bring you extremely huge and dense clouds with pure flavor. It can fire up to 260 watts and match high wattage mods well. 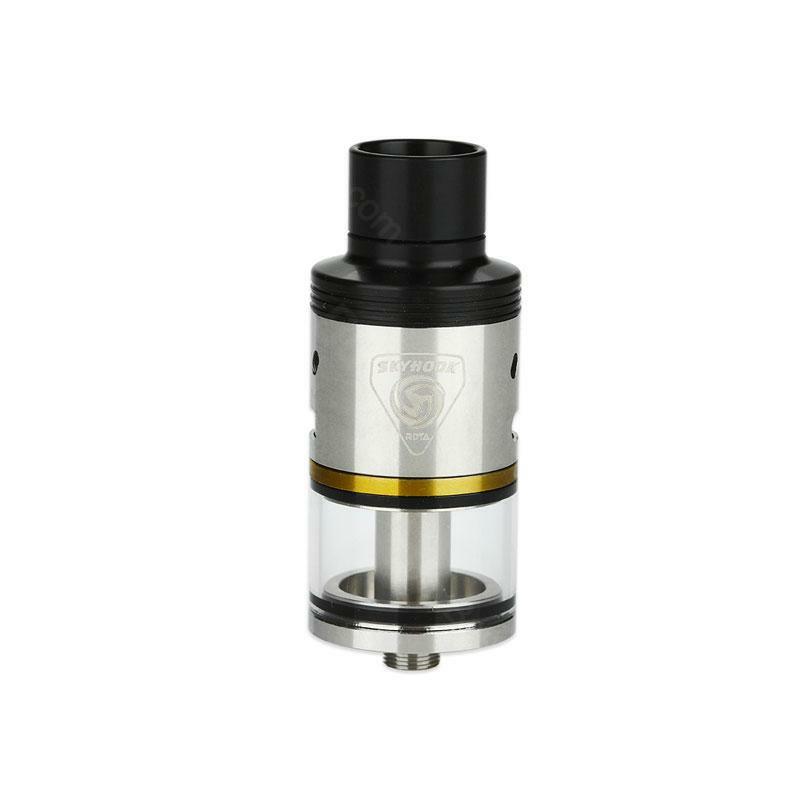 SKYHOOK RDTA Tank by Smok, features large e-juice capacity of 5ml, floating velocity style post making the super large wicking slots for endless e-liquid feed capabilities. Bottom & middle airflow, bottom airflow and middle airflow channels provides different vaping. Interchangeable deck is ready for future improvements. You will have a deep impression with the experience of extremely huge and dense clouds with pure flavor. • Recommend matches: G320 320W, G-PRIV 220W, Alien 220W and so on. Nice job on this one! Keep it on SMOK! Love the skyhook, only con i could say is that tank got a bit hot after chain vaping. SKYHOOK RDTA is a cloud chucker that worth your money. It works flawlessly. easy to build, good taste and massive vapor production. 5 stars i think. Would recommend this store. Authentic product from SMOK. IMO this one is one of the best rebuildables. Side refill with 5ml large juice capacity, great vapor production and taste. SKYHOOK works fantastic with my 200w istick tc mod. Great flavor and HUGE clouds!